Although many people take personal cyber security for granted, knowledge about the significant role this plays to safeguard your systems and investments against the increasing waves of cyber-threats will determine whether your company succeeds or not. Individuals, companies and institutions lose millions of dollars when their systems are damaged by cyber assaults. 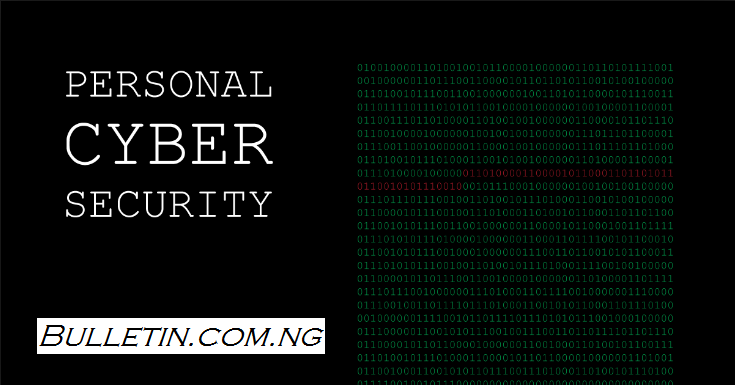 The only way that organizations and individuals need to respond to cyber-attacks is to invest in personal cyber security by adopting strict measures for protection. Every year, the attacks increase in both the number of attacks and the severity. Collectively, the losses attributed to the threats run into hundreds of billions of dollars in stolen money, theft of intellectual property, lost productivity, destruction and damage of important data, fraud, and embezzlement, theft of financial and personal information, business disruption and many more. You might think that only big corporations are affected, but even at an individual level lack of sufficient personal cyber security can be quite costly. It is not just the number of security threats that are on the rise, but the magnitude and degree of the assaults, according to the report by PwC, is progressively becoming destructive by targeting a widening attack vectors and information channels. The fact that the private emails of Hillary Clinton became subject of front page news in the middle of her presidential campaigns, and that $19 billion budget was proposed by Obama’s administration underscores the importance of personal cyber security measures. Not to be left behind, President Donald Trump also in May 2017 agreed to help protect the technology networks and the infrastructure systems of the US by signing an executive order. A survey carried out by PwC about the state of global information security revealed that over 60 percent of the respondents said the digitization of the business ecosystem has affected their security budgets. That means the area of personal cyber security needs a lot of commitment by individuals and companies alike. "One element that is affecting the Personal Cyber Security industry negatively is lack of funding". And that is why Rubica is out to extend digital protection to both corporations and individuals. The company offers personal cyber security by offering privacy and security to your personal digital rights. Regardless of where and how your use your devices, Rubica has a full-service personal cyber security solution designed specifically for your needs. Located in the US, Rubica has an elite team of cyber security personnel who previously worked for high profile security agencies like the Scotland Yard, US Navy and NSA. Rubica has more than a decade of expertise on personal cyber security issues gained from practical experiences. The company is reputed for providing world-class digital and physical security to prominent individuals in the world. The security professionals use machine learning technology that is human assisted and other private networks to keep your safe from cyber criminals who try to steal your personal information. They monitor and secure all your activities by protecting all your devices around the clock. Some of the leading technology investors in the country such as Expa Labs, Slow Ventures, Upfront Ventures, Hippeau Ventures and Lerer are funding Rubica. And to help in providing cyber security services, information and education to their clients, the company partners with investment groups, insurance and legal firms, and leading providers of financial services. 1 Response to "personal cyber security: Unavoidable Reasons That Make Personal Cyber Security Essential to You"